The Ministry of Defence has admitted that secret information has been leaked onto social networking sites 16 times in the last 18 months. The information was only revealed after Lewis PR sent a Freedom of Information request to the MoD. In its response, the Ministry refused to say what's been leaked or whether any action has been taken against staff, claiming the information "it is not in the interest of the security of the MoD, or that of the public." One source claims 10 staff have been disciplined. Unlike Manchester United players, MoD staff aren't banned from social-networking sites, although they can't update their status at work. Although, there was talk of the MoD back in August actively encouraging troops to get online. According to the MoD: "The Ministry Of Defence's main networks do not permit access to internet-based social networking sites (including Facebook and Twitter), and this block has been in place for some years." 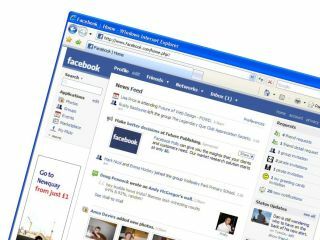 However, there are a few computers outside the main network that can access social-networking sites. It was just last December that a leak revealed the loss of yet another laptop and USB stick from the Ministry, bringing total Whitehall computer losses up to 658 in four years. Oops. But with more and more people, including spooks and staff, now on social networks, it's seems possible that Twitter could overtake memory sticks to become the bigger source of leaks and losses. In 140 characters or less, of course.